Stained glass is a timeless and elegant way to make any home more beautiful. Adding a stained glass front door to your home can add a refined sense of class to your living space, and is sure to attract your friends and family. But, when we say that stained glass is timeless, just how timeless are we talking? Surprisingly, stained glass has been used in buildings for thousands of years. Today, Entry Brite in Phoenix will begin exploring the history of this amazing material in a multi-part blog series. We hope you find this series illuminating! Since the dawn of human history, people have looked for ways to make their living spaces more comfortable and beautiful. For some, that meant adding paintings made from crushed berries and ash to the walls of their caves. Today, that means replacing our bland utilitarian windows with gorgeous stained glass examples. With this in mind, it’s natural that humans would gravitate toward the idea of stained glass. The origins of stained glass are, rather ironically, not very clear. 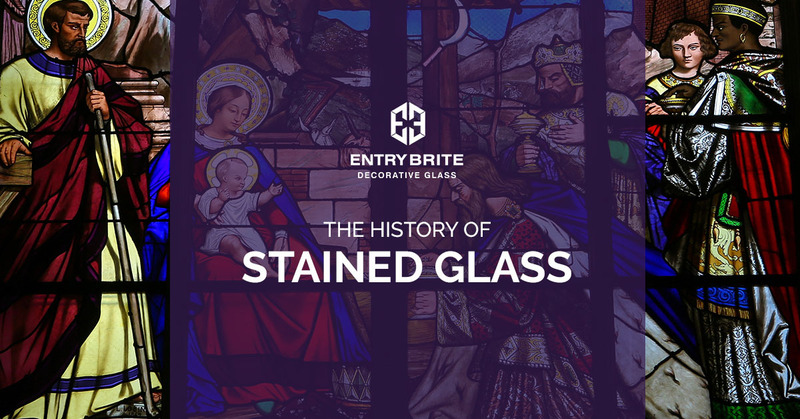 For the most part, scholars and cultural historians agree that some of the earliest examples of stained glass can be found with ancient Egyptian cultures. Likely, these early examples were made when the Egyptians were firing clay vessels and the nearby sand solidified into glass. The mineral content of the sand, mixed with whatever materials were being used to make pottery, created striking patterns and colors. Egyptian artisans started making stained glass beads sometime around 2700 to 2600 BCE. These beads were made by twisting molten glass around a clay core that was then removed. The result was an opaque bead that was very precious by the day’s standards. As the Mediterranean world grew more powerful and prominent, thanks to the Romans and their immense empire, the practice of staining glass changed and became more refined. No longer simple beads, the Romans began making some of the first stained glass windows sometime around the first century AD. They did this by making slabs of glass and used blowing techniques to create discs and cylinders that were molded into the plate. The result was a colorful window that wasn’t very transparent and was irregular in its shape and consistency. They made for beautiful art pieces but weren’t really suited to serve as a true window. Given the incredible trade network of the empire, examples of Roman-made stained glass can be found across the Mediterranean and Middle East. Prior to the Romans use of stain glass as a true window, civilizations had largely used glass for the edges of weaponry,as a decorative bits of jewelry, or even utensils and flatware for eating. The use of glass as a true window was a unique concept. 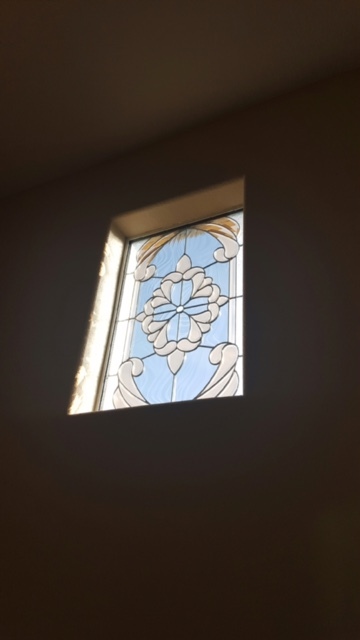 These early stained glass windows allowed buildings to be completely sealed from the outside elements without limiting the amount of light that was let into the building. Today, this concept seems rather mundane and something we take for granted. But for these early civilizations, it was a truly remarkable concept. While these early stained glass windows were undoubtedly striking, and an artistic achievement in their own right, they lacked the immense color palette that later examples of stained glass would have. For the most part, archaeologists have discovered Roman stained glass in colors like greenish white, bluish white, a few shades of yellow, a few shades of purple, and some darker, smokier shades. These colors were also far more opaque than later examples, as the quality of the materials being used to make the glass was far inferior. These windows often had a cloudy appearance to them. While the Romans were the first to popularize stained glass, others would master the artform to create pieces that would be impossible to imagine during the age of the Romans. Even today, these pieces continue to inspire awe, stir emotion, and generate discussion. In our next blog post, we will discuss the incredible achievements of the stained glass artisans of the Medieval and Renaissance eras, and how innovations in the crafting of stained glass made it possible. Until then, elevate your door into these timeless ranks by remodeling your entryway with one of our beautiful stained glass front doors. Contact us today to find out more.